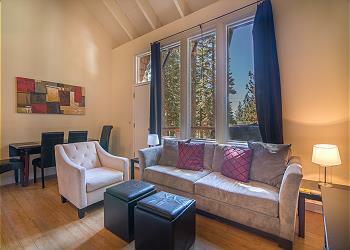 Enjoy a beautiful lake view from the very popular Villas Condos in Tahoe City from 2 levels. Newly upgraded throughout with beautiful furnishings! 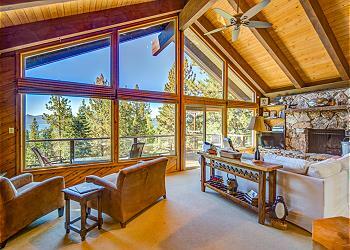 Close to Ski Resorts and Tahoe Cross County! Our large 5 bedroom home is perfect for large families. 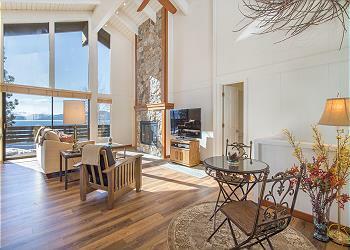 The large open living area has tons of seating and a cozy fireplace. 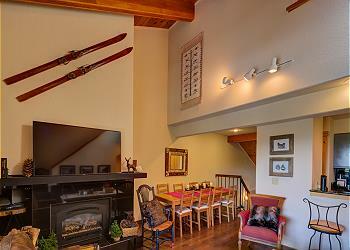 Located close to major hiking trails and ski resorts. Includes access to Chamberlands pool, beach, and tennis courts in summer.